Saturday, Dec 1, 2018, 2 – 5 p.m. The Department of Near Eastern Languages and Civilization and its Persian and Iranian Studies Program; College of Arts and Sciences; Comparative Religion Program; History Department; Interdisciplinary Ph.D. in Near and Middle Eastern Studies; and College of Arts and Sciences. Though far less known than the Greco-Roman world, the cultures of Ancient Iran played a vital role in the shaping of world civilization. 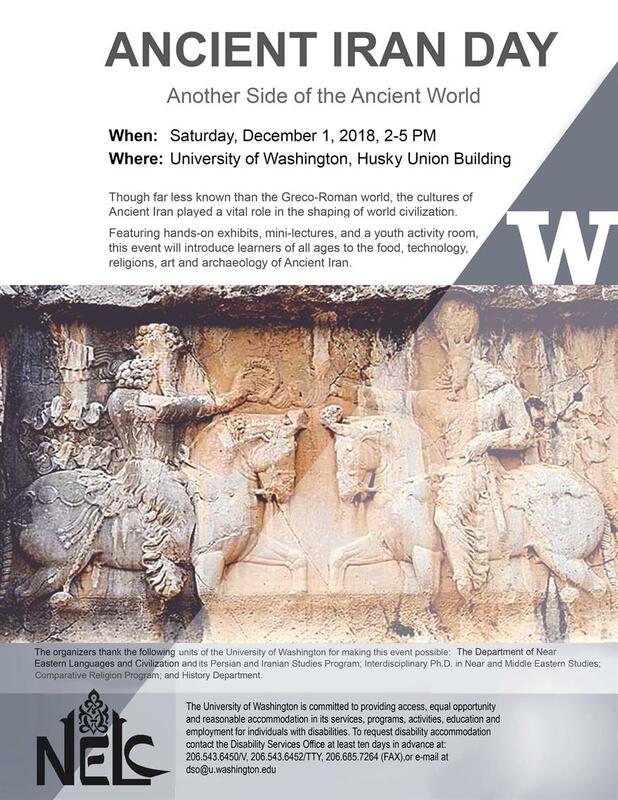 Featuring hands-on exhibits, mini-lectures, and a youth activity room, this event will introduce learners of all ages to the food, technology, religions, art and archeology of Ancient Iran.